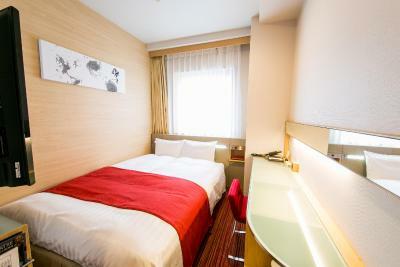 Lock in a great price for Hotel Sardonyx Ueno – rated 8.7 by recent guests! The location is great, surrounded by restaurants, shops and metro stations. The breakfast is good, even if you pay ¥200 for the extra menu, it’s great value. Breakfast was amazing (simply but great). 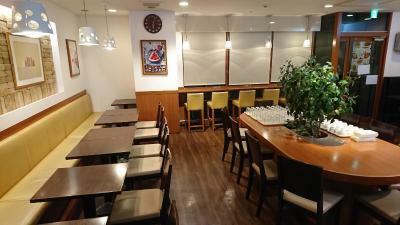 Location is perfect just short walk to ameyoko market and ueno park. Check out time is 1.00 pm. so we doesn't need to deposit our luggage before we go to airport. I also like a welcome drink which gave us a coupon to order at cafe anytime we like. Big bed. Great location less than 10 minutes walk from Ueno Station. Rooms very clean and tidy, and a very good shower which was most welcome after a long flight! Included breakfast was basic western style choice of a few dishes, but was more than adequate with juice and coffee. Great location! Walking distance from the sky train station which is a straight route from the airport. Staff is very friendly and helpful. Market is just outside the front door with loads of choices for great meals. It’s such a nice location for foods and shopping in the heart of Ueno area. The room is clean even its size is quite small, but it’s normal in Japan. Friendly staff and they can speak english. Love the location! Super central in Ueno near many restaurants and shops. 7-11 and family mart just around the corner to the hotel. It was near the station and pretty much restaurants. Very convinient. Nice and cozy place. Clean and neat room. Staff s are very hospitality. Clean and comfort. Staffs speak English. Soap and shampoo smell aromatherapy, very relaxing. I love the brown shoes, too. They're like slippers but better. I wear them outside the room, too. Very near to subway station. Many restaurants around hotel. Staffs very friendly and outgoing. 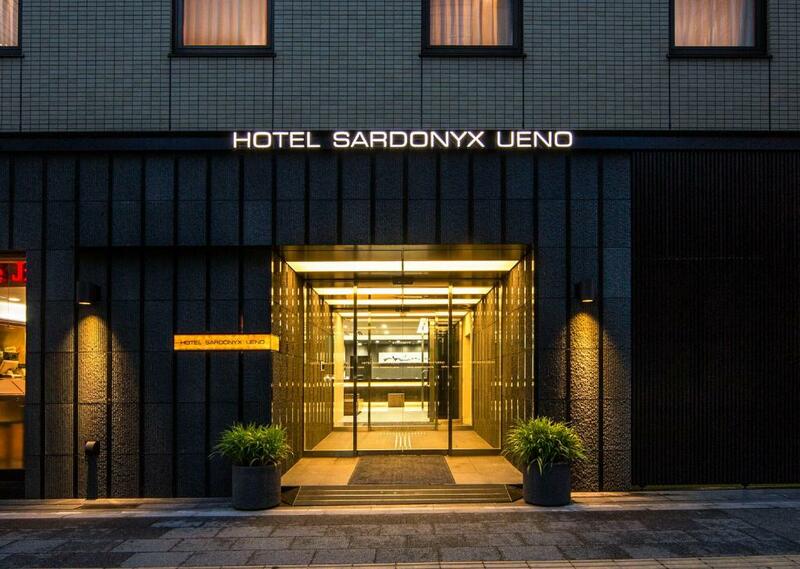 Hotel Sardonyx Ueno This rating is a reflection of how the property compares to the industry standard when it comes to price, facilities and services available. It's based on a self-evaluation by the property. Use this rating to help choose your stay! 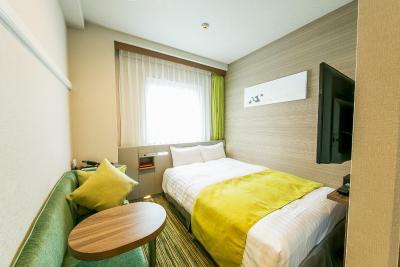 Hotel Sardonyx Ueno offers free Wi-Fi throughout the property, a free Western-style breakfast and is a 8-minute walk from Keisei Ueno Train Station, which features a direct high-speed rail link to Narita Airport. 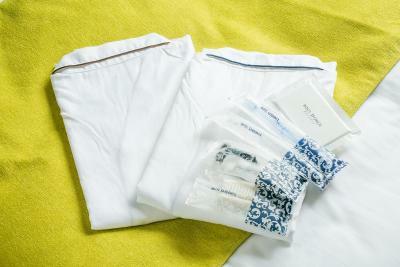 Simplicity and comfort define the air-conditioned rooms at Ueno Hotel Sardonyx. Each includes an LCD TV with English and Taiwanese channels, a fridge and an electric kettle with green tea. The private bathroom has a bath with a shower attachment. 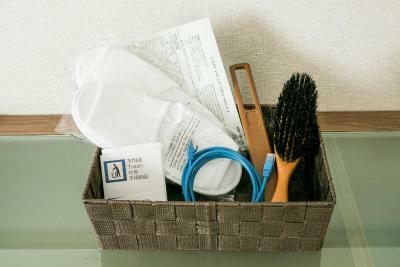 The hotel is a 3-minute walk from Ueno-Okachimachi Subway Station and a 7-minute walk from JR Ueno Train Station. Ueno Park, Ameyoko Market and the famous Yamashiroya toy shop are all a 5-minute walk from the hotel. Three nearby subway lines provide direct access within 20 minutes to electronics hotspot Akihabara, the cultural Asakusa area, Ryogoku’s National Sumo Stadium, Ginza’s shopping and the Tsukiji Fish Market. 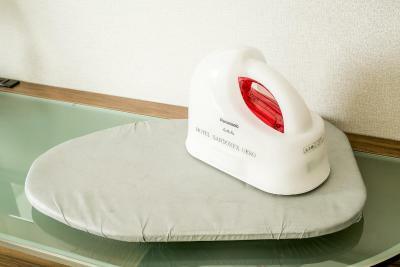 Guests can make use of Hotel Sardonyx Ueno's coin-operated laundry machines or use the hotel’s dry-cleaning service. Free-use microwaves are available on several floors. The hotel’s complimentary set-menu breakfast is served at Cafe Italian Tomato, which also serves Italian dishes for lunch and dinner for a fee. 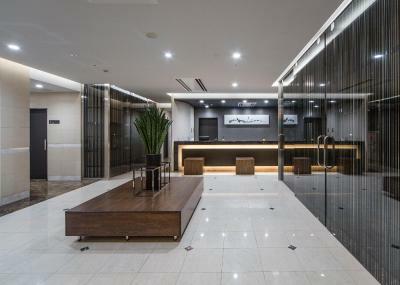 When would you like to stay at Hotel Sardonyx Ueno? This single room features a electric kettle, air conditioning and satellite TV. This single room has a sofa, satellite TV and electric kettle. This single room has a sofa, electric kettle and cable TV. This double room has a cable TV, electric kettle and sofa. This twin room features 2 double beds, an electric kettle and a 50-inch flat-screen satellite TV. The room features a street view. This single room features air conditioning, satellite TV and electric kettle. House Rules Hotel Sardonyx Ueno takes special requests – add in the next step! 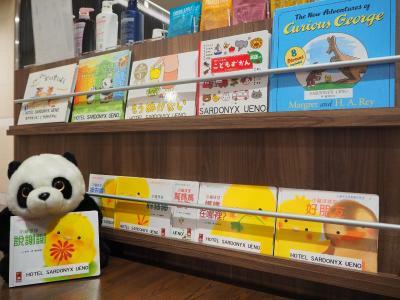 Hotel Sardonyx Ueno accepts these cards and reserves the right to temporarily hold an amount prior to arrival. The free breakfast is served between 06:45-09:15. Guests can choose from among breakfasts featuring toast, a hot dog, a bagel sandwich, or pancakes. Each breakfast also comes with minestrone soup and coffee or tea. The room had old used shoes and water bottles and other rubbish items still under the bed from previous occupants that didn't really work for us, so housekeeping needs improvements. The staff were kind, attentive and welcolming. Was a great location for food, tax free shopping, entertainment and Akihbara was 5mins by train which we liked! The very compact room was almost filled by the bed and almost no hanging space, which was challenging for two people living out of suitcases for several nights. Floor space is at a premium in Tokyo. A short, easy walk to Ueno station for both the JR and Keisei lines. Check-in was very smooth and courteous. The included breakfast was functional and a helpful start to the day. The room was very quiet due to the double-glazing, despite overlooking a busy road. A well appointed, although very compact, room. Close to convenience stores and restaurants, and to the subway entrance. Size of the room is very small. The room was quite small, and the free breakfast was very limited. Short stroll to Ameyoko market, Ueno park and Ueno JR/Metro and Keisei skyliner stations. Staff are lovely, breakfast is simple but delicious. The location was great. Many shops and restaurants around the hotel. Furthermore, the hotel is near JR stations and metro lines. 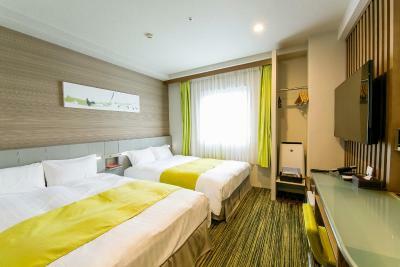 Best of all, it’s walking distance to the Kesei Ueno skyliner station for Narita airport. Extremely small for 3 people. Breakfast place not very cost at all. Looks more like a stand up cafeteria with very poor quality food. The room size is very small, but I guess that's normal for Japan. The breakfast was ok, the staff was very friendly and accommodating. There are a lot of restaurants nearby and convenience stores as well. Breakfast so poor, if you want to get normal breakfast (eggs with bacon) have to pay it. Horrible breakfast. Too soft bed and pillow. Super strategic location. Bathroom and cleanliness.